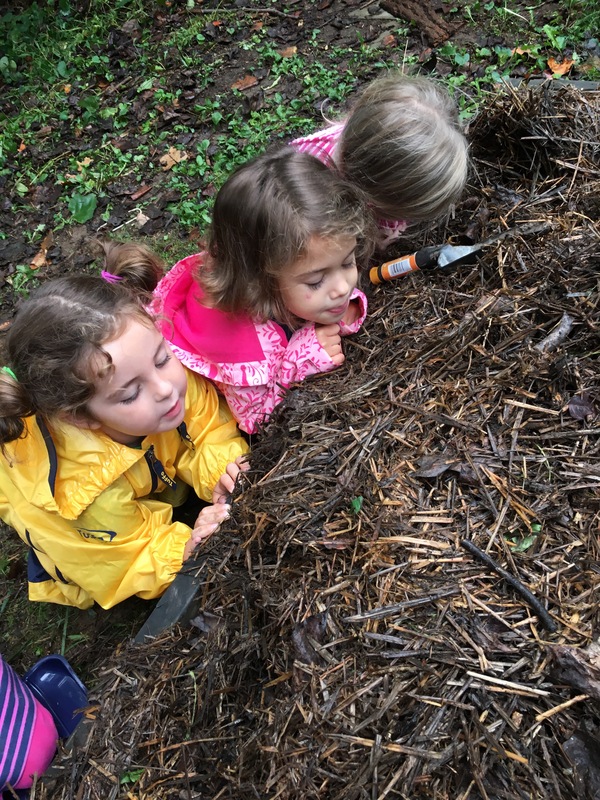 The Detectives were greeted this week with lots of rain to usher in our farm and harvest unit! 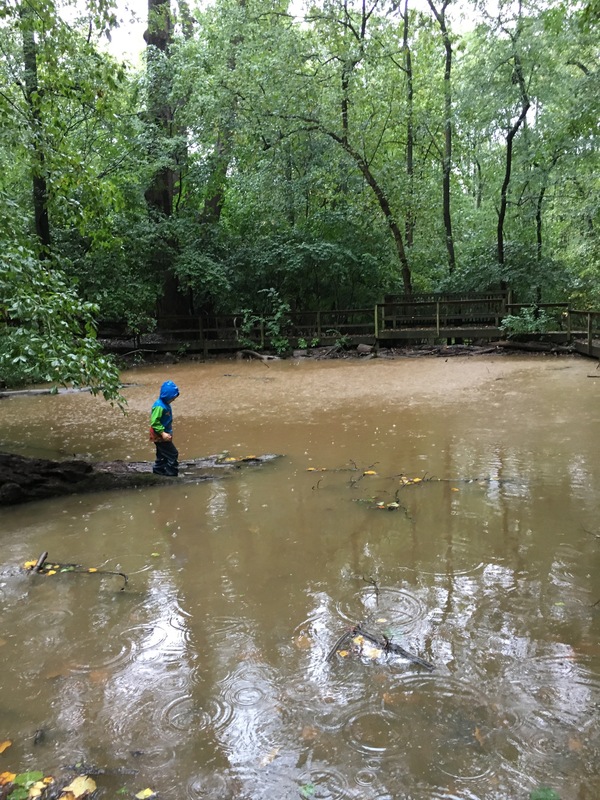 The kids were able to observe the changes around Audubon, noticing the leaves falling from the trees, the creek beds filling with water and different plants and animals reacting to the wet world around them! We continued our observations at the Look Out, observing the differences in creek beds before and after the rain storms. 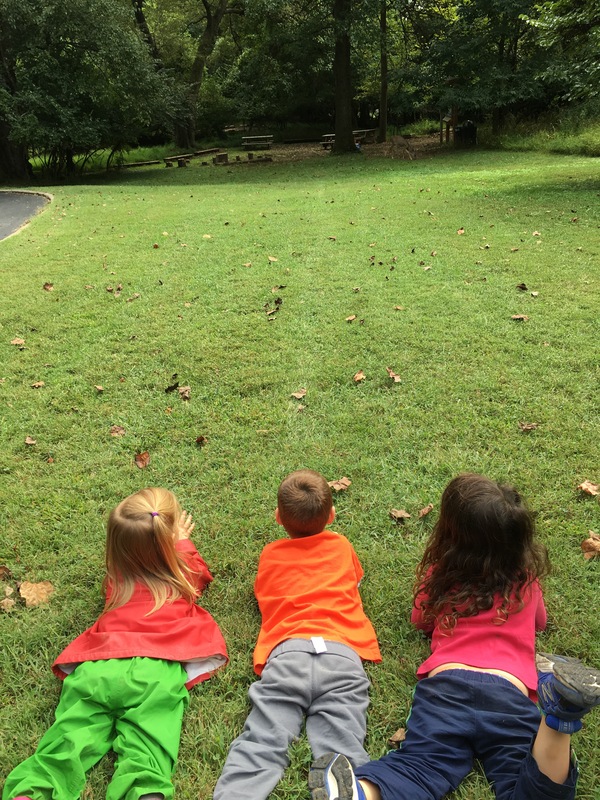 The Detectives also took their first trip to the pond this week! 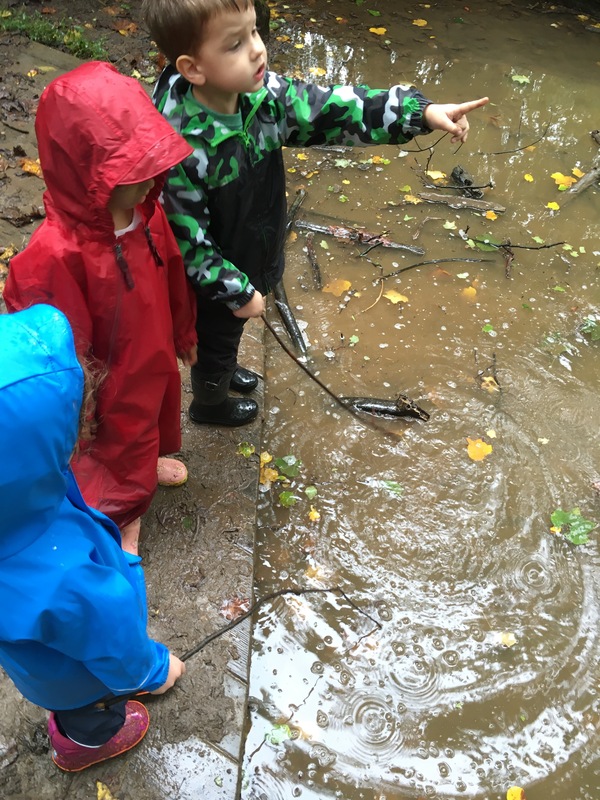 We used sticks for measuring the depth of the water, as well as experimented with different objects floating or sinking. 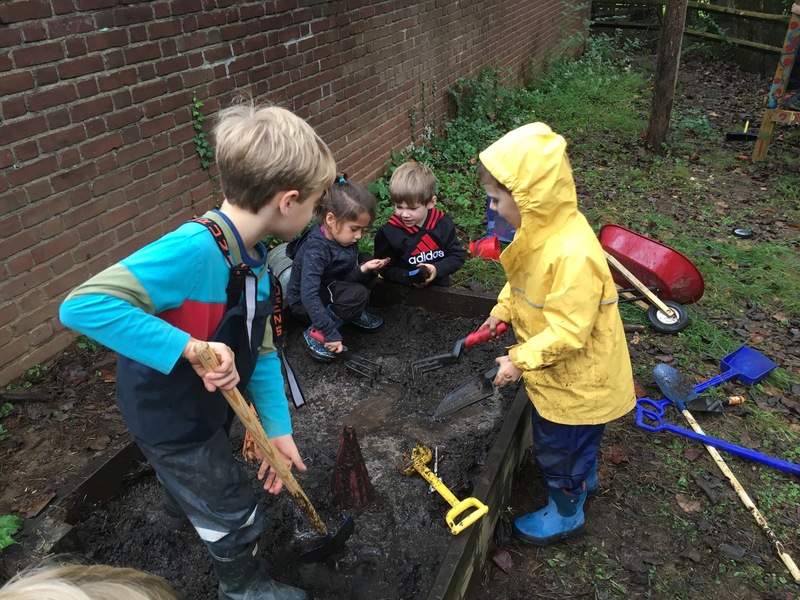 To prep for our trip next week, the Detectives started work on our very own farm in the Outdoor Classroom! The kids created a hay bale for the “animals” to munch from, added sticks to our barn structure, and created a giant mud pit for the pigs! The Detectives had to figure out how to transfer the water from the hose which is next to the school, over to our new farm area. 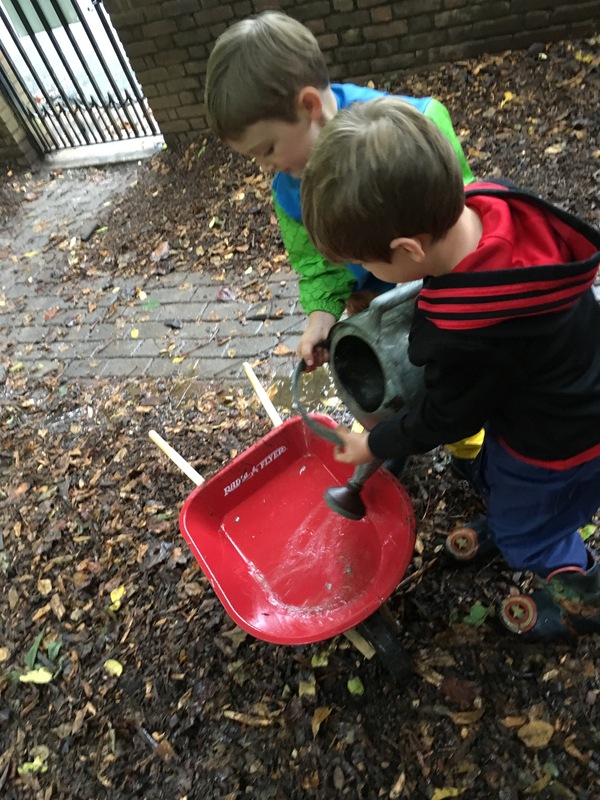 They had lots of ideas, using buckets, wheelbarrows, shovels and more! 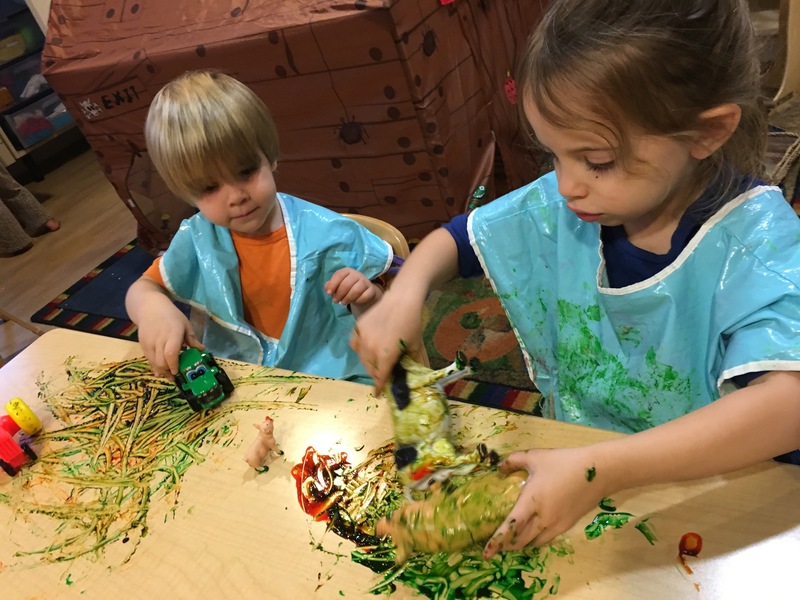 This week we opened up farm activities in our learning centers to prep for our field trip for Homestead next week! 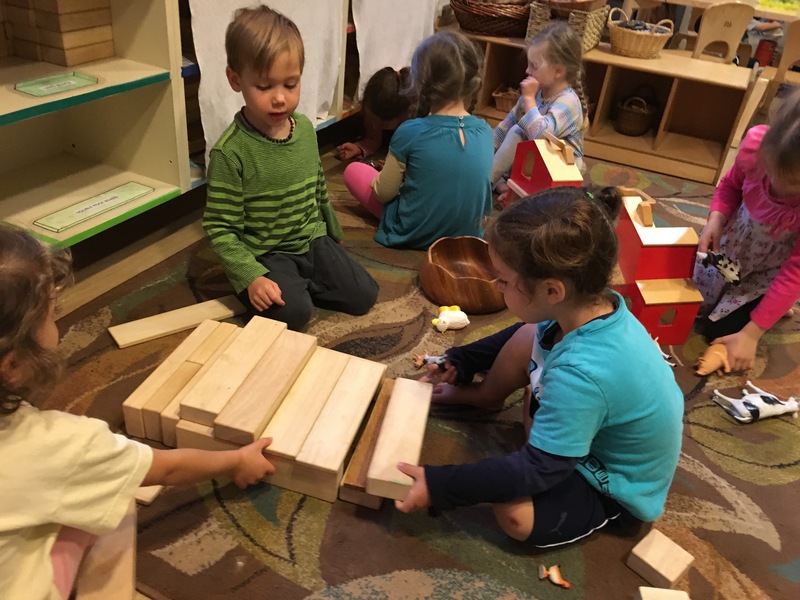 Both classes discussed ideas we already knew about farms, and what questions we wanted to figure out! 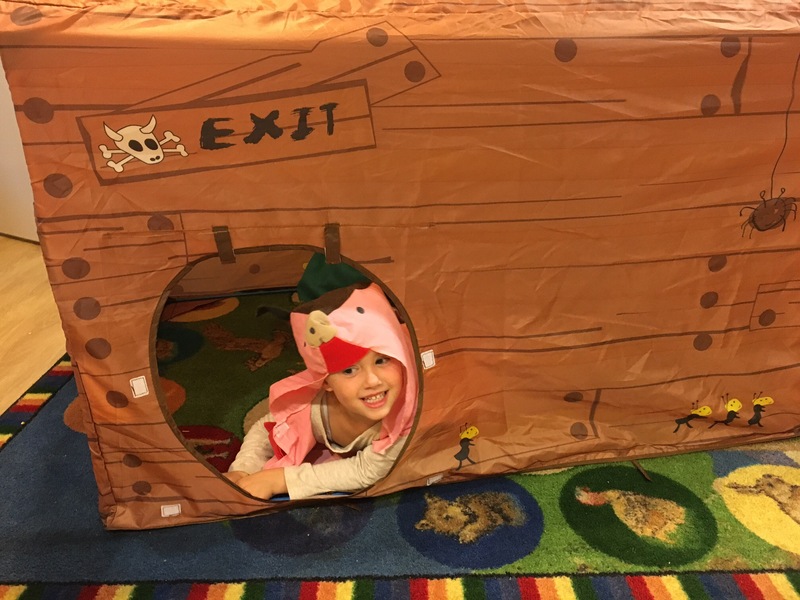 In the dramatic play area, we had the classroom barn opened, where the Detectives transformed into animals themselves. 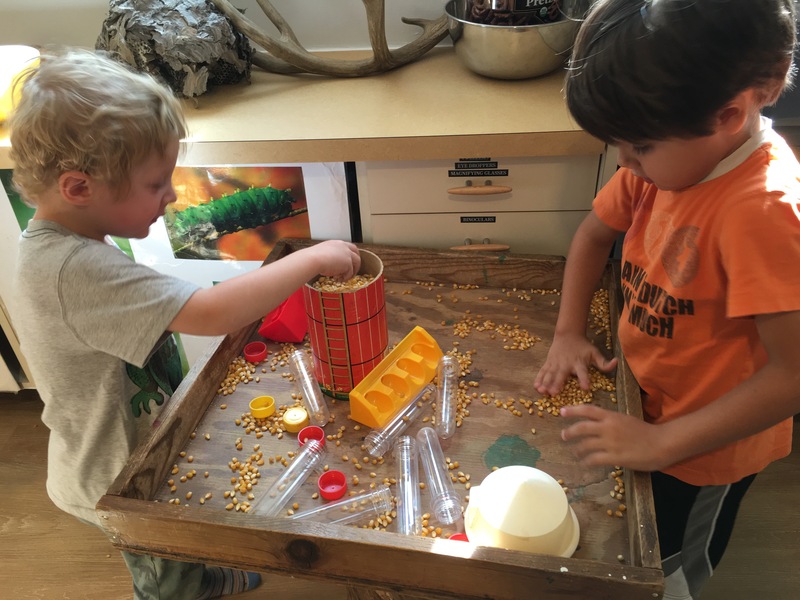 In the Discovery table we added corn kernels, silos and test tubes. The kids experimented with measuring, filling up the silos with different amounts of corn. 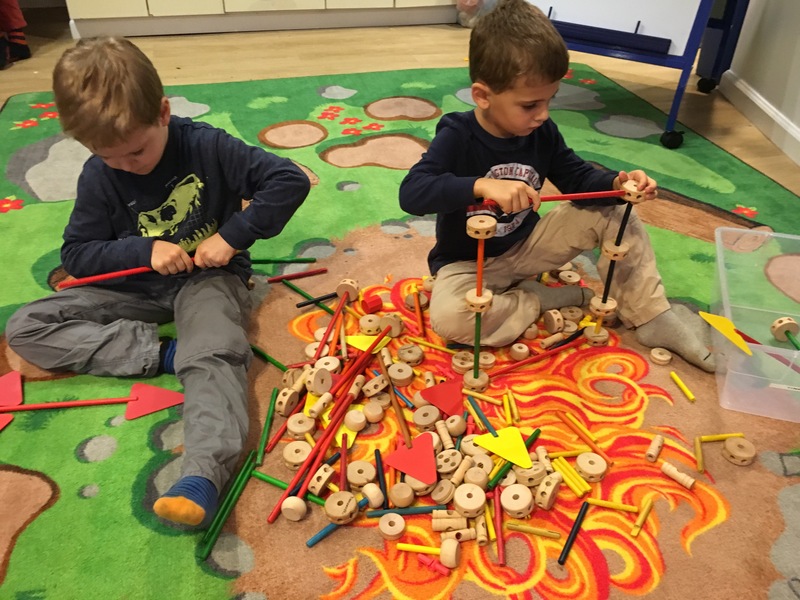 The art area was quite busy this week! 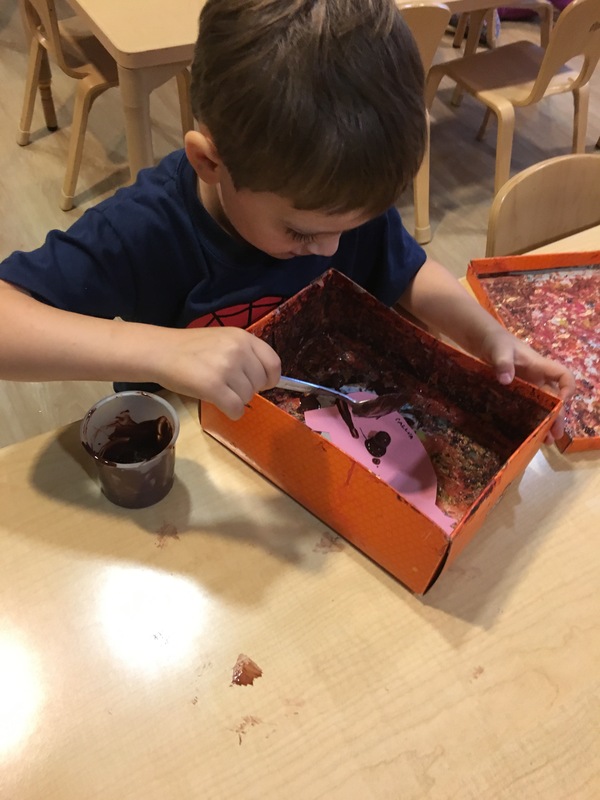 The kids got muddy with the animals and tractors in finger paints, created animal masks as well as cooled off piggies with some paint mud, in a marble rolling art project. 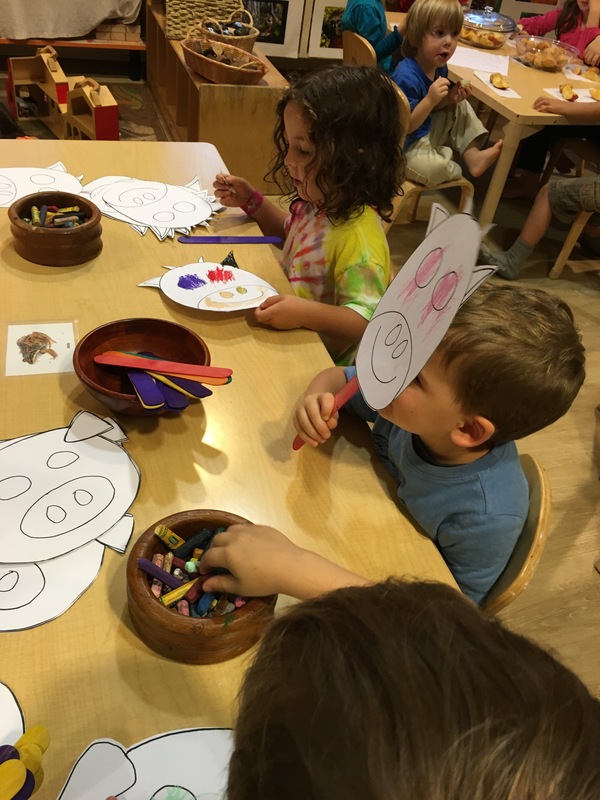 We also built barns in the block area, using our barn and toy animals to complete the look. 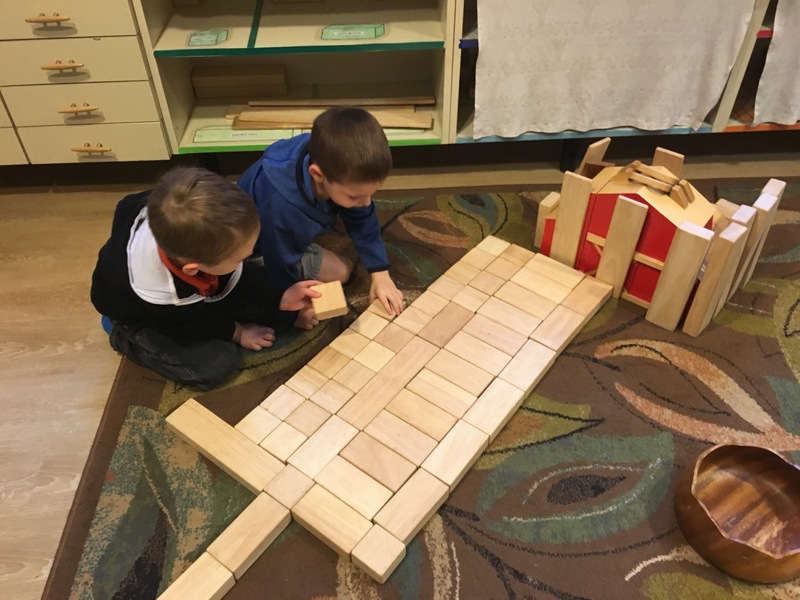 The Detectives also continued their building with duplos and tinker toys. Spoiler Alert: Next week we continuing our farm unit and going on our trip to Homestead! 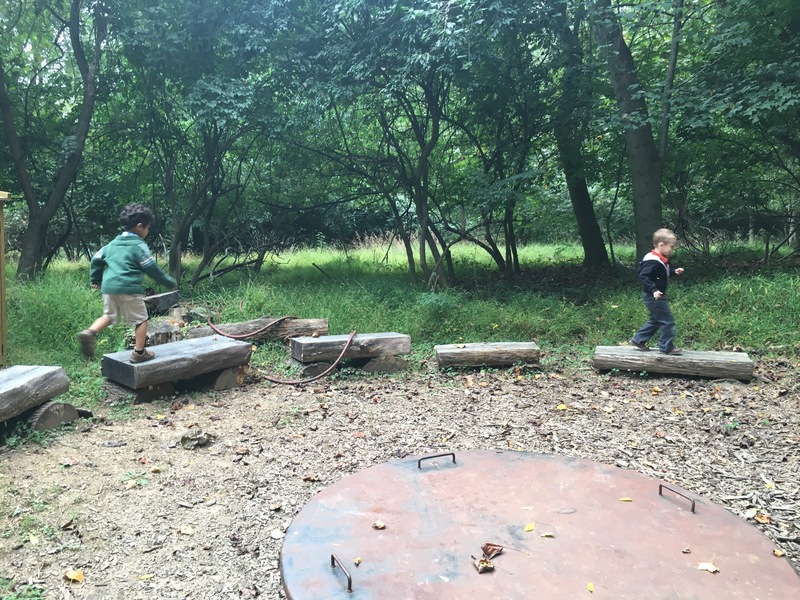 This entry was posted in Saplings, Uncategorized and tagged Nature Detectives, Preschool, Saplings by anspreschool. Bookmark the permalink.